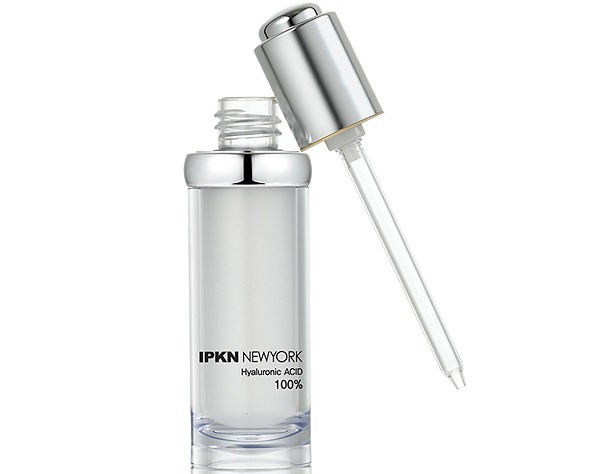 ipkn new york 100% Hyaluronic Acid | May our skin grow beautiful, as we grow wiser. Remember the Taiwan BB Cream scare last year with the IPKN BB Creams? Luckily the tests came out negative, but IPKN’s image was scarred in other parts of Asia due to that incident. They are now back with two new lines – one for the oily skin and another one for the dry skin. Both contains the 12.5 Degrees trademark – and it actually stands for the optimum temperature for the skin. These products lowers the skin temperature by using a new ingredient called the ‘liquid ice’ to cool down the skin and quickly tighten pores. Introducing the line for oily skin – the Hydro 12.5 Degrees Poreless line. The line contains an essence, emulsion, cream and toner. The line tightens enlarged pores, controls sebum secretion, and maintains skin moisture at the same time. To purchase search for 하이드로 12.5 토너 (toner) , 하이드로 12.5 포어리스 에센스 ( essence ) , 하이드로 12.5 에멀전 ( emulsion ) , 하이드로 12.5 포어리스 크림 ( cream ). The Moist 12.5 Degrees Firming line (입큰 모이스트 12.5) is for those with dry skin. The line contains ingredients such as collagen, liposomes, to improve sagging skin and skin elasticity. Nanotechnology is incorporated to ensure deeper penetration of products into the skin. To purchase , search for 모이스트 12.5 토너 (toner), 모이스트 12.5 퍼밍 에센스 (essence) , 모이스트 12.5 퍼밍 아이크림 (serum) , 모이스트 12.5 에멀젼 (emulsion), 모이스트 12.5 퍼밍 크림 (cream) . Last but not least is the 100% Hyaluronic Acid serum (입큰 히알루론산) which does not contain any fragrances, artificial colors, chemical additives, nor silicones. It is 100% pure and undiluted. This serum can be used by using a drop and mixing it up with the lotion / emulsion to soothe dry skin.